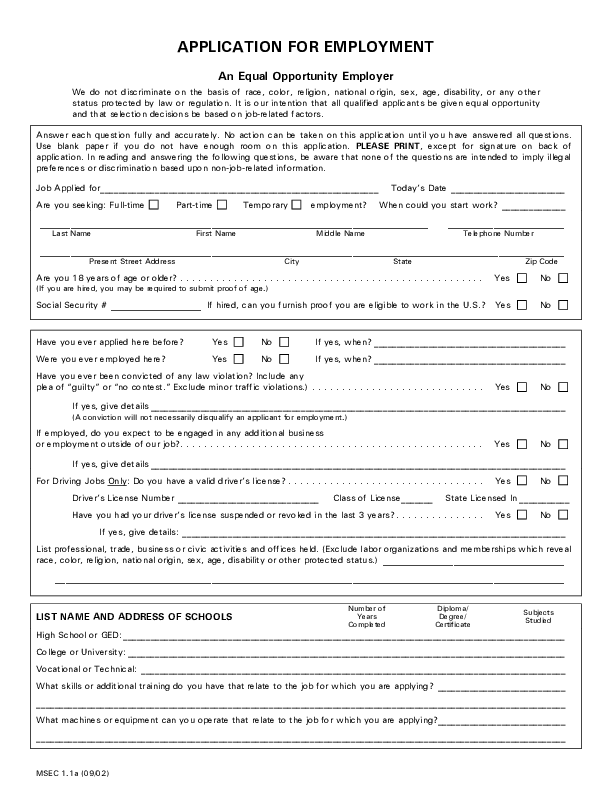 As one of the most direct and effective methods for recruiters to know an applicant inside out, an impressive application form is truly a calling card for most job-hunters and could help them grab more chances of getting hired. 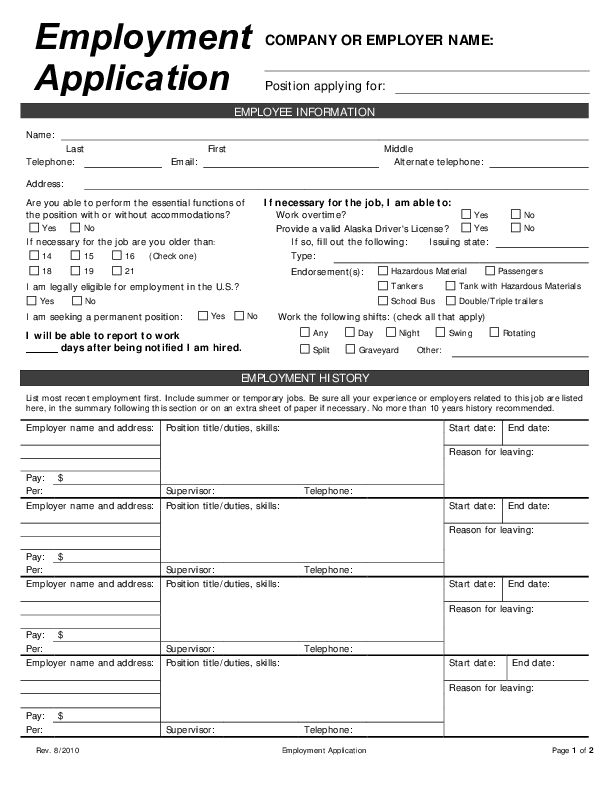 Find and download a suitable blank job application form or an application for employment form. 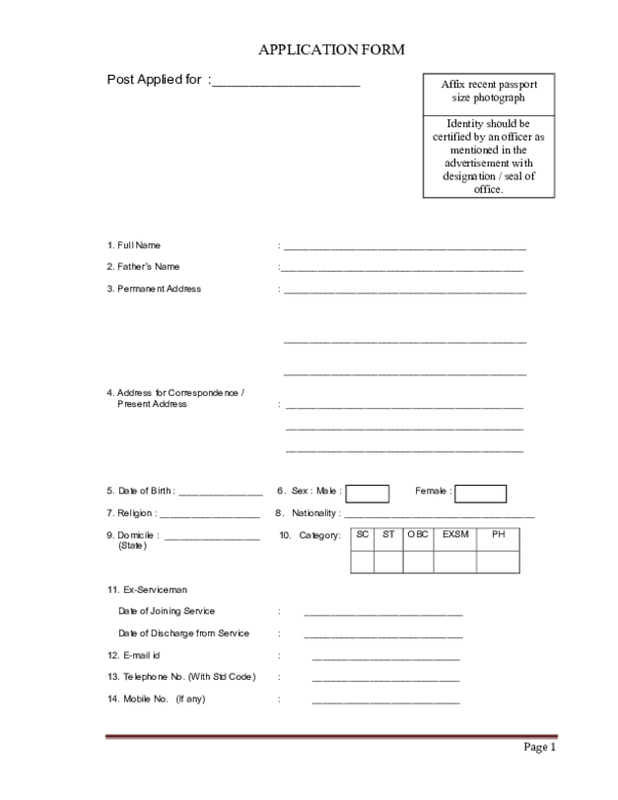 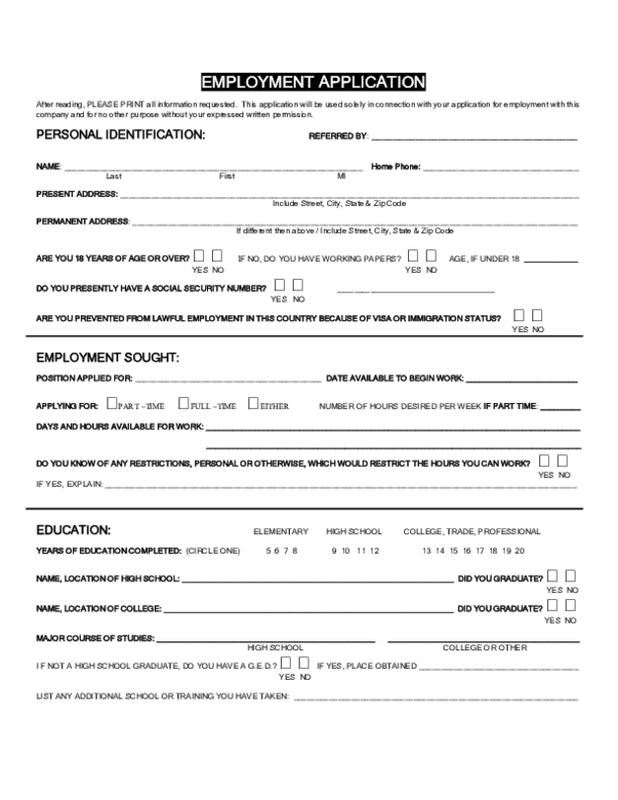 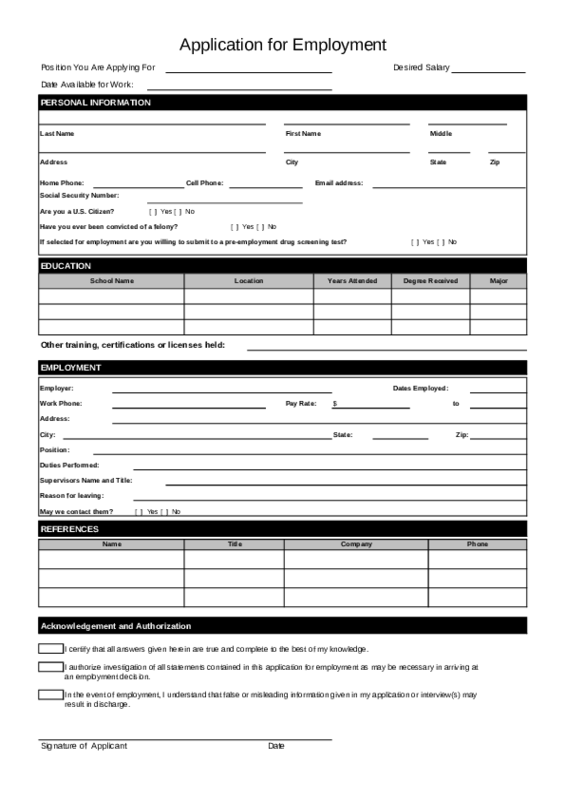 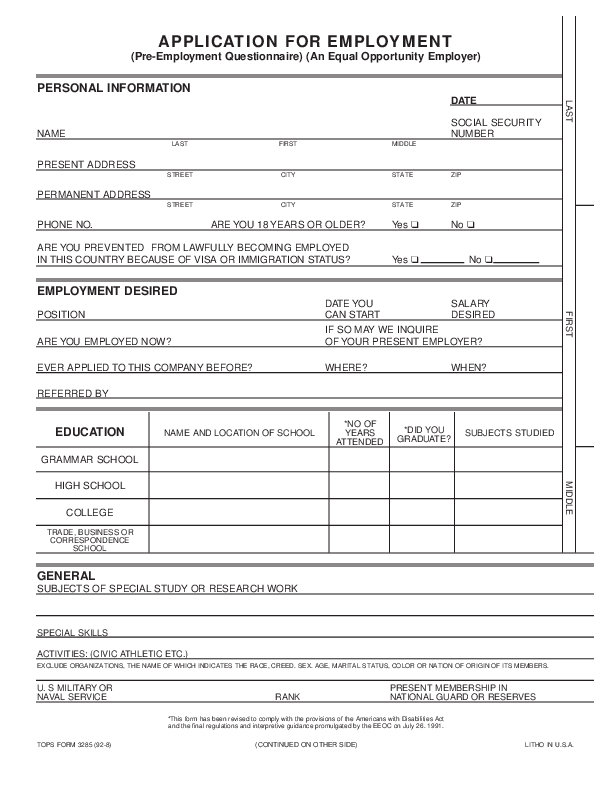 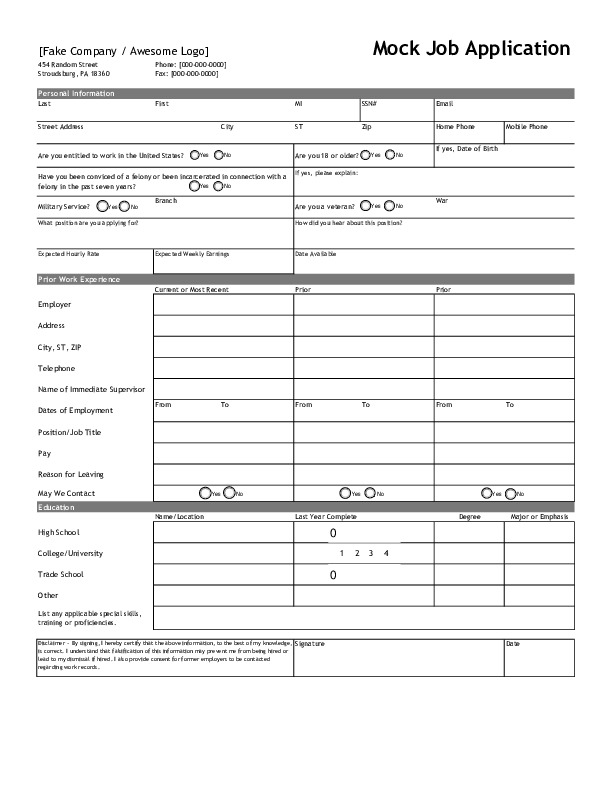 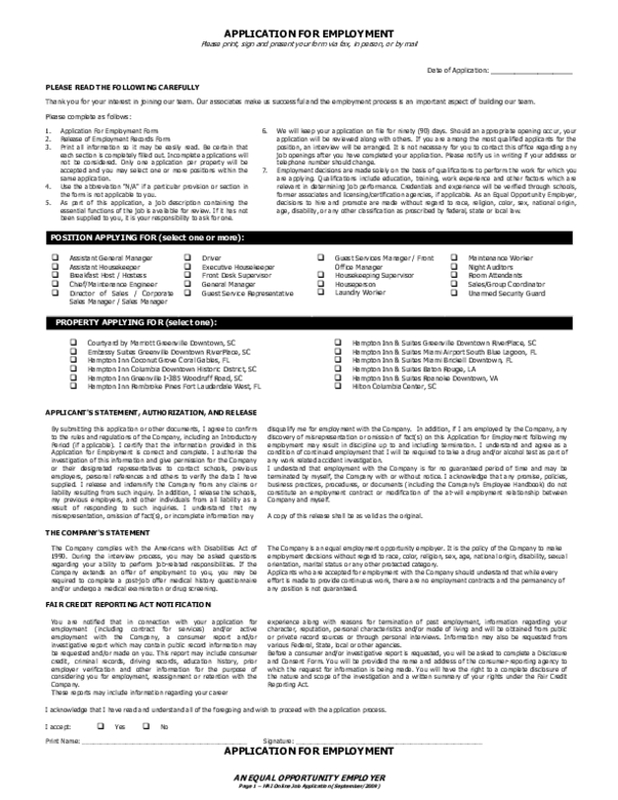 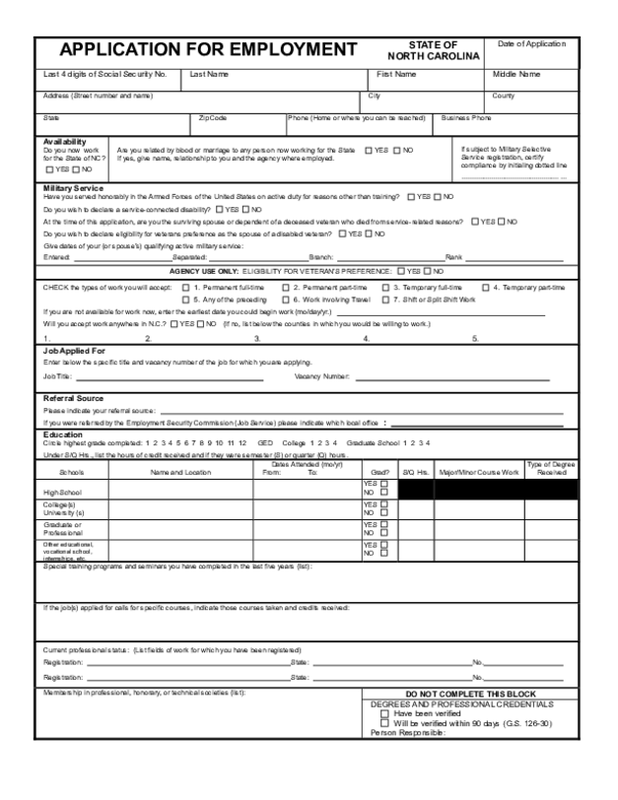 Fill it out by offering all needed information listed, including your personal information (name, address, social security number, phone number and some typical employment related questions, like Are you prevented from lawfully becoming employed in this country because of visa or immigration status, etc. 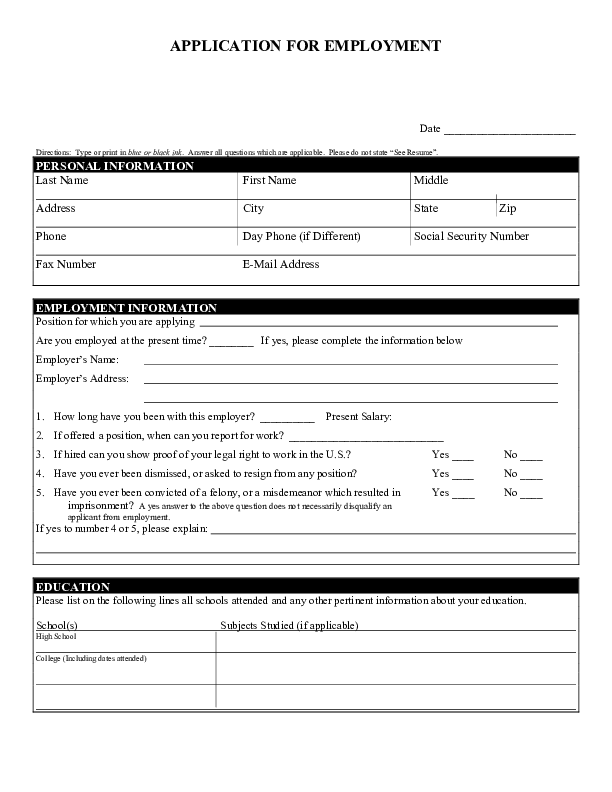 ), your employment desired and history (position you’re to apply for, salary desired, date you can start, Are you employed now? 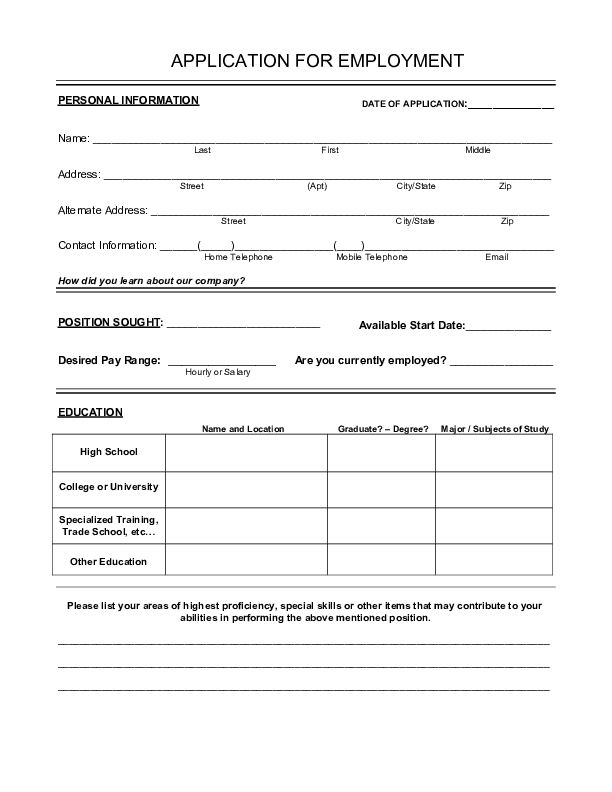 Have you ever applied to this company before? 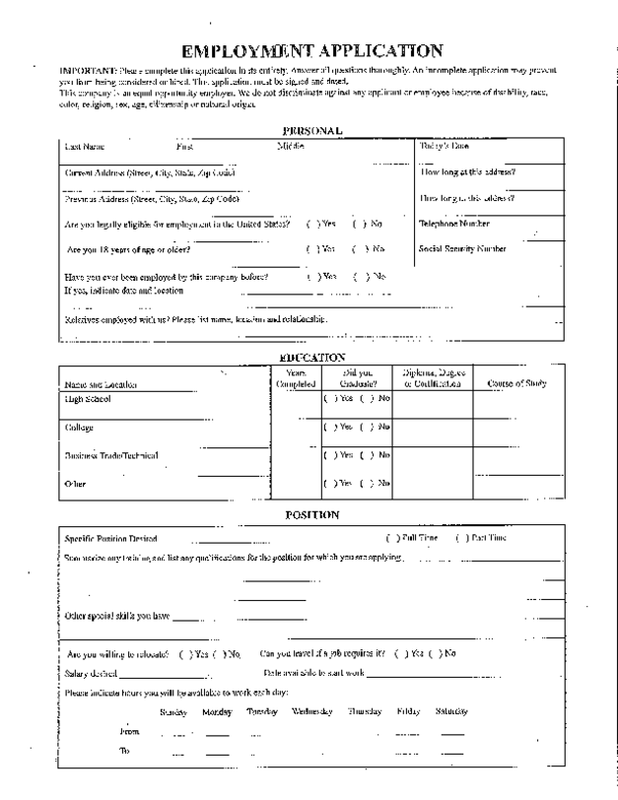 Referred by who? 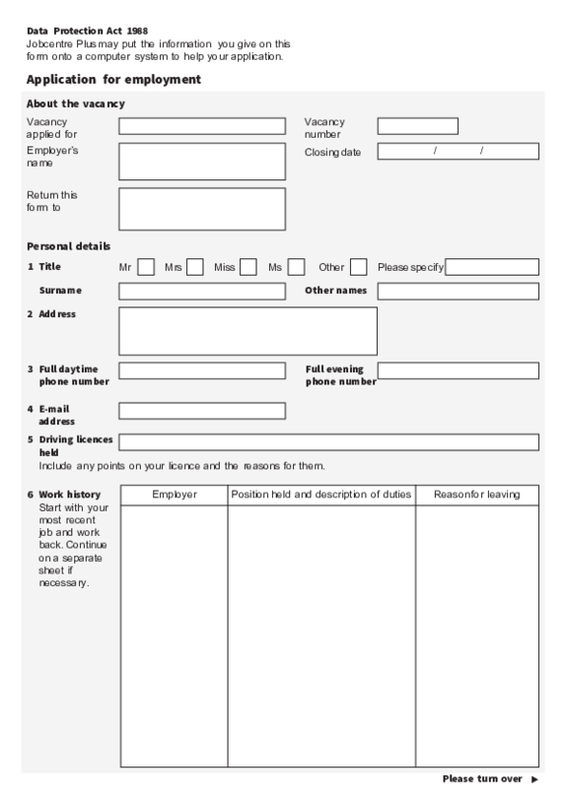 Name and location of your former employer, position, years you’ve worked there, reason for leaving and so on. 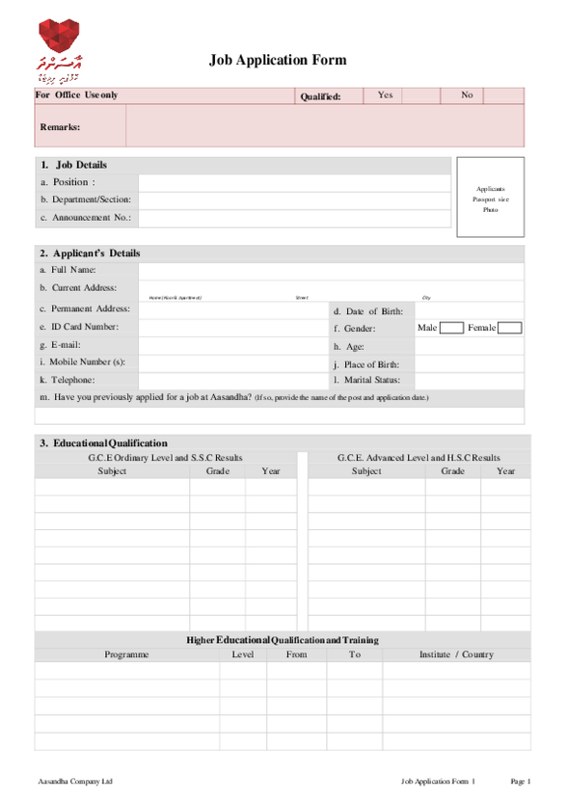 ), your education background (grammar school, high school, college, trade, business or correspondence school, name and location of the school, years attended, graduated or not, subjects studied, etc. 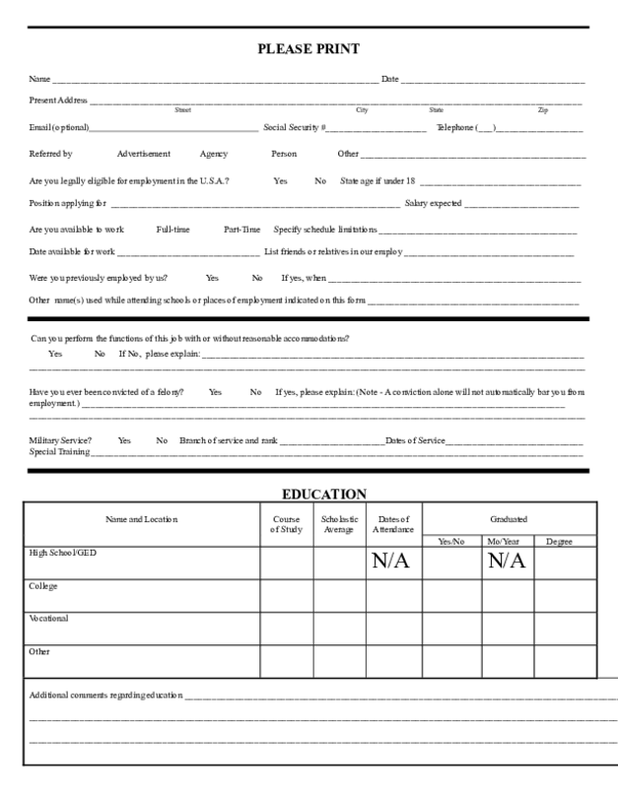 ), general activities and interests (special skills, U.S. military or naval service, present service in national guard or reserves), references (name, address, position of your referees, years acquainted), complementary acknowledgements/statements/questions and so on. 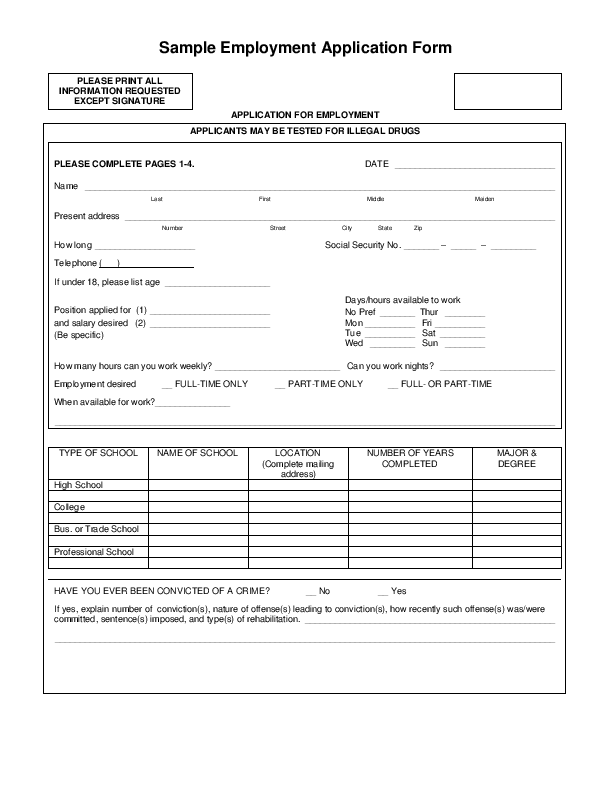 Hope your application is off to a great start.